I’ve studied women and weight for years now and I’ve been one of those women who struggled with weight personally, not a huge amount but enough to affect how I felt about myself and how I interacted in this thing called life. Perhaps you do too. Throughout my journey it’s fascinated me why these two topics of women and weight seem to be so deeply engrained in society, within our beliefs, within us. So it got me thinking why is weigh so important? Why do we put so much pressure on ourselves to be a certain weight? What’s all that about? 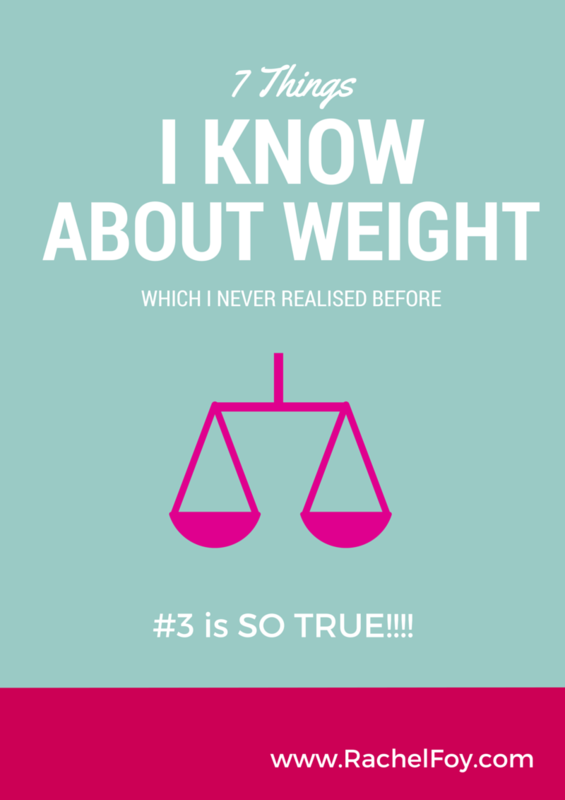 If right now you are struggling with your weight or perhaps you’re just obsessed by what you weigh, there are a few things I’d like to bring to your attention, some of the things which I have learnt about weight along my personal journey. Despite what you might believe right now reducing your weight will not give you the key to the happy door. Despite our beliefs life doesn’t necessarily get 1000 times better when we come down in size. Perception is everything. Beliefs are everything. It’s not about the number on the scale. 2. Our weight does not determine our health. We can be healthy at any size, any weight, any shape. There may be many people who disagree with this but I’ve seen it to be true and I believe it to be true. Someone who weighs a small amount can be unhealthy, the same as someone who weighs a larger amount can be healthy and vice versa. 3. Weight is not a direct reflection of our self worth. It is just the numerical value of our gravitational pull on this planet in this body. Nothing more, nothing less. It’s just a number. The value which we attach to that number is coming from within us based on our intrinsic values of self worth, self esteem and self acceptance. It comes from society, from diet thinking, from the brainwashing we as woman have endured over the years of climbing on and falling off diets. When I think about my own personal story, my slimmest points in that story were not my happiest and my happiest points were not my slimmest. I invite you to think about your story. Why do we attach so much emphasis and belief around losing weight = happiness. Where does that come from? Who told us that to be true? Giving up the need to control her weight can be one of the most challenging, difficult and emotional things that we can ever do, however, it’s also one of the most freeing, rewarding and satisfying things when you come out of the other side. Making peace with food and your body can be done. It takes compassion, time & persistence of quietening down the diet voice in your head whilst you build up your self esteem. Trying to control your physical weight in a world where many things seem out of our control creates a vicious cycle that we find it difficult to jump out of. Our lives cannot be controlled in so many aspects and that’s the whole point of being alive. Our stories change, our lives evolve and our weight fluctuates and trying to control too much of that creates an internal battle field where we constantly fight ourselves. There is never a winner in that fight by the way. 7. Trying to shrink ourselves to take up less space in the world is not OK.